SUSSEX COUNTY, NJ – Karen Miglin, Realtor®/Sales Associate, with Realty Executives, is a seasoned real estate professional, with close to 20 years of buying and selling experience. 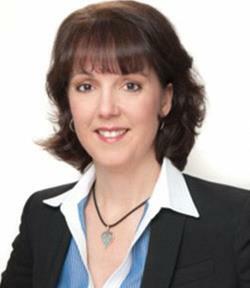 Miglin also holds experience for the same amount of time in business consulting and marketing. “What sets me apart from other realtors is that I have many years of business and marketing experience,” Miglin said. She said she understands the financial and emotional impact, as well as commitment that each real estate transaction can generate. Miglin said she also accomplishes successful home transactions with personalized service, and her knowledge and insights into the market, combined with her gentle and pleasant demeanor. Her specialty is the residential market, with single and multi-family homes. Click below to view a video about Miglin and her experience as a real estate agent. For home buyers, Miglin works with a team of mortgage professionals who provide a quick pre-approval to qualified buyers. The majority of home buyers will find their homes through the Internet, or a real estate agent. With the increased use of the Internet in the home selling experience, Miglin offers a maximized online marketing program. She also works with sellers to prepare their home for the best top selling condition. Once a seller begins a transaction with Miglin, she will speak often with them to review progress of the sale, and advise of changes in the market climate. As a seller enters into the process where the offers begin, she presents the offers and assists with evaluating them. Miglin then walks the seller through the entire process, including appraisal and home inspection, until closing. On Miglin’s website, SussexCountyLiving.com, buyers can search quickly and accurately for the home of their dreams. Buyers can locate Miglin’s own featured listings, as well as real estate listings from the Multiple Listing Service (MLS). The MLS system offers the most updated information about real estate listings, and the MLS database on Miglin’s site is updated every 24 hours. She said sites such as Trulia and Zillow, do not offer the most up-to-the-minute information, as agents must first input their listings and manually update them on these sites, or pay a third party to do it for them. Otherwise, the home will appear as if it is off the market (on these sites until an agent updates the information, that is how it appears). Miglin’s real estate website itself is a one-stop-shop. On it, buyers and sellers can locate tips for buying and selling homes, and market insider information. Her site also offers a listing of featured partners, from home inspectors, mortgage professionals, lawyers, and much more. Karen Miglin, Realtor®/Sales Associate, with Realty Executives serves communities throughout Sussex County. To reach Miglin, click here for her website. She can be reached via email through the contact section of her site. Contact her by phone at: (908) 347-9118. Editor’s Note: Karen Miglin, Realtor®, with Realty Executives, is an advertiser on NJInsideScene.com. To learn more about becoming an advertiser, contact Jennifer Jean Miller at: jennifer@jjavenueproductions.com. 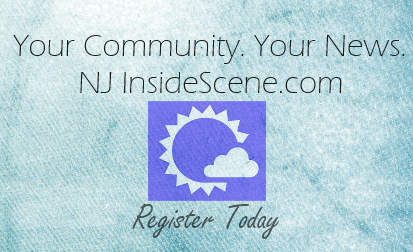 Stay on the scene with NJ Inside Scene and click here to follow us on Facebook.